1. Kahina Giving Beauty Prickly Pear Seed Oil: This is a new release from Kahina and comes in a 5ml bottle with a stainless steel roller ball. (Just like their perfumes if you are familiar with that format). It is the cutest little bottle and the perfect delivery system for the amino acid and antioxidant packed oil that resides inside. The stainless steel rollerball feels cool under the eyes, and allows just the right amount of oil to be applied. 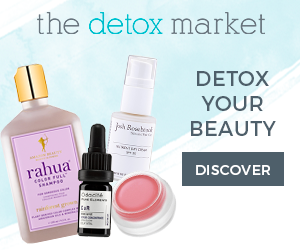 Prickly pear seed oil also contains vitamin K which has been shown to banish pesky dark circles. I have been using this organic oil every night for over a month and can attest to its hydrating virtues and my dark circles have been noticeably diminished. 2. 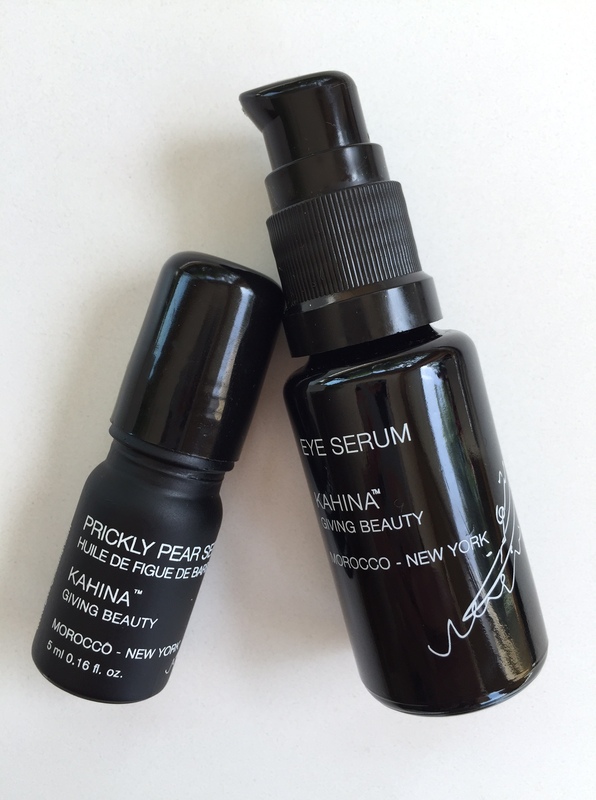 Kahina Giving Beauty Eye Serum: Kahina’s Eye Serum has been given a reboot with the addition of prickly pear seed oil. I have been using this every morning as it helps reduce any lingering puffiness and wears very well under foundation. 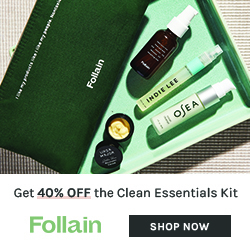 If my eyes are particularly puffy, I like to apply a liberal amount upon waking, leave it on for at least twenty minutes, wash my face, and then proceed with my skincare routine which includes reapplying the usual amount of Kahina Eye Serum. I find that using the Eye Serum in the morning combined with the Prickly Pear Seed Oil at night has made a real difference in my under eye area feeling nourished, brighter, and as mentioned, less puffy. 3. 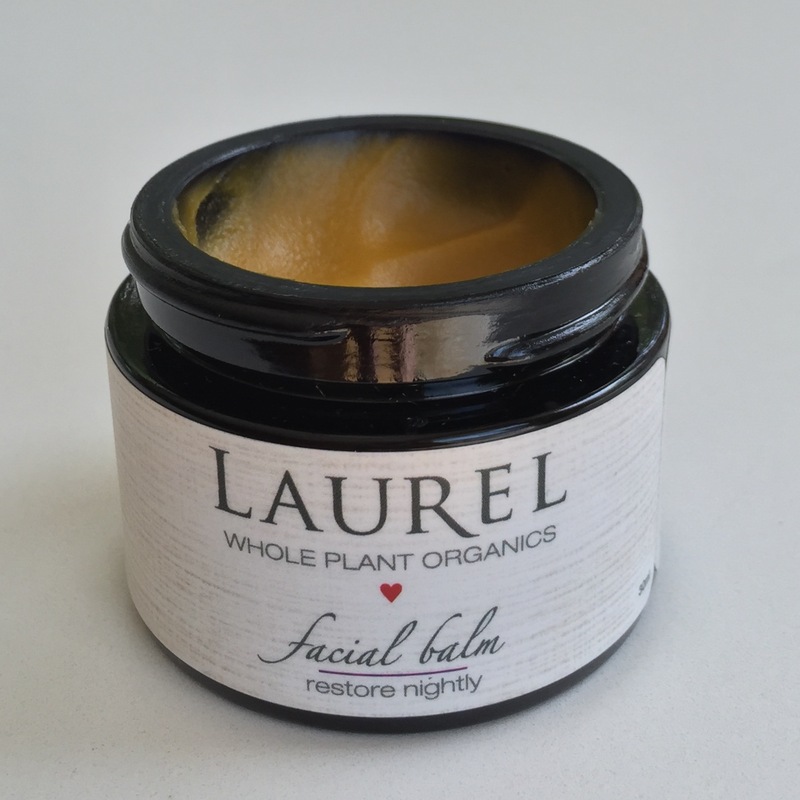 Laurel Whole Plant Organics Restore Nightly Facial Balm: If you read my post on Laurel Whole Plant Organics, you know that I have great respect for this line and am in love with so many of their products. Earlier this summer I discovered Laurel’s Restore Nightly Facial Balm, which has taken my love to a new level. I am a real balm fan. I like the feeling of “locking in” my face oil at night with a balm right before I go to bed and this one is my idea of perfection. The consistency is neither oily nor waxy. It’s smooth and creamy and feels luxurious on the skin. The scent is signature Laurel as it smells of whole flowers and herbs but does not linger too long. Calendula, chamomile, yarrow, and rosehip seed oil are the standout scents in this glorious pot of gold. 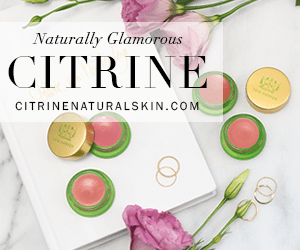 I highly suggest you give this a try if you love face balms as much as I do. 4. Suntegrity 5 in 1 Natural Moisturizing Face Sunscreen: This was the only foundation that I took on our two week trip to Italy and it was all I needed. I did not regret not bringing any other “base” product because this one worked so well. My skin runs dry (less so in the summer) so I apply it over moisturizer, and that’s it. Super easy. 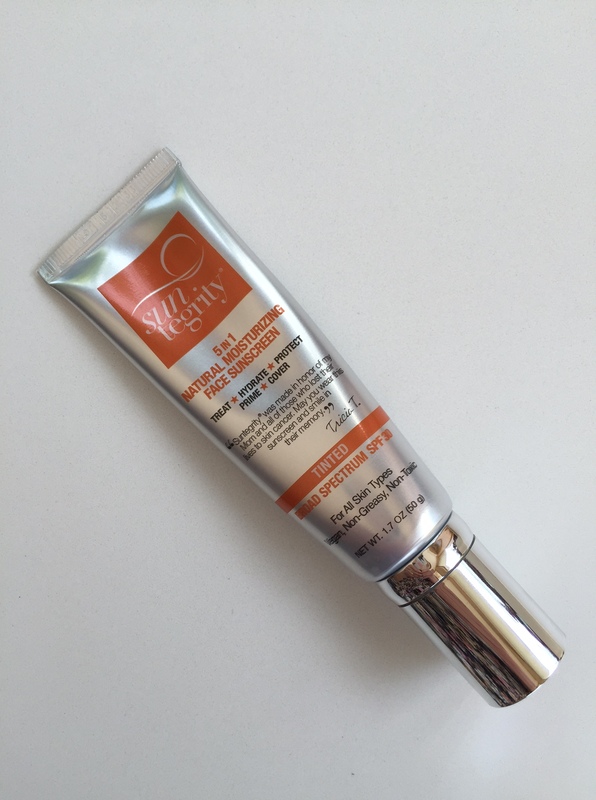 Since it’s a tinted moisturizer, it doesn’t give full coverage, but for the summer when you want something lightweight that gives you SPF (30) and has clean ingredients, this is as close to perfect as I have found. For liquid foundation I like to apply with my hands, and by that I mean spreading it on my face like a lotion, and I can do that with this one. It’s not too thick, doesn’t need touching up with a beauty blender or powder, imparts a fresh finish but isn’t overly glowy and uses non-nano zinc oxide for the SPF. I also like that it has skincare benefits from hyaluronic acid, red algae, jojoba, pomegranate and green tea. 5. Kjaer Weis Cream Blush in Embrace: I have saved the best for last. Blush! If I had to pick only one blush to keep from my collection, it would be this one. It might be too light for many, as I think my light to medium olive toned skin is pushing the far end of the spectrum, but if you can wear it, you should. It is the prettiest neutral (slightly cool leaning) light pink blush I have ever seen. The texture is so creamy that application works just as easily with your finger tips as a brush. 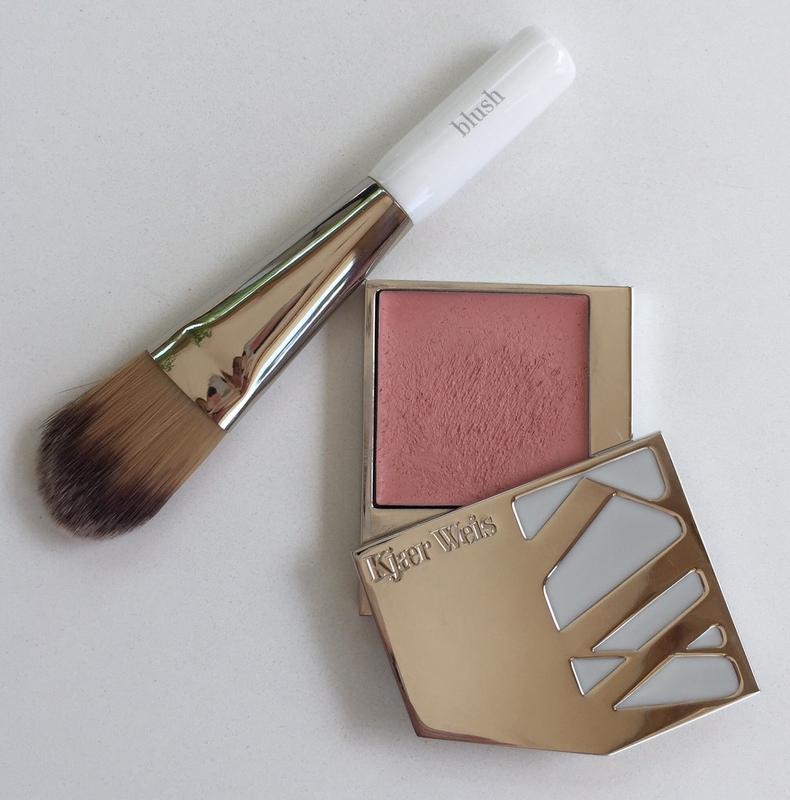 (The KW blush brush is terrific with cream blushes). There is no shimmer in this blush, but it’s not matte per se, as it leaves such a lovely, ethereal finish. True Love! It’s been a while since I have done a giveaway, so let’s do one! 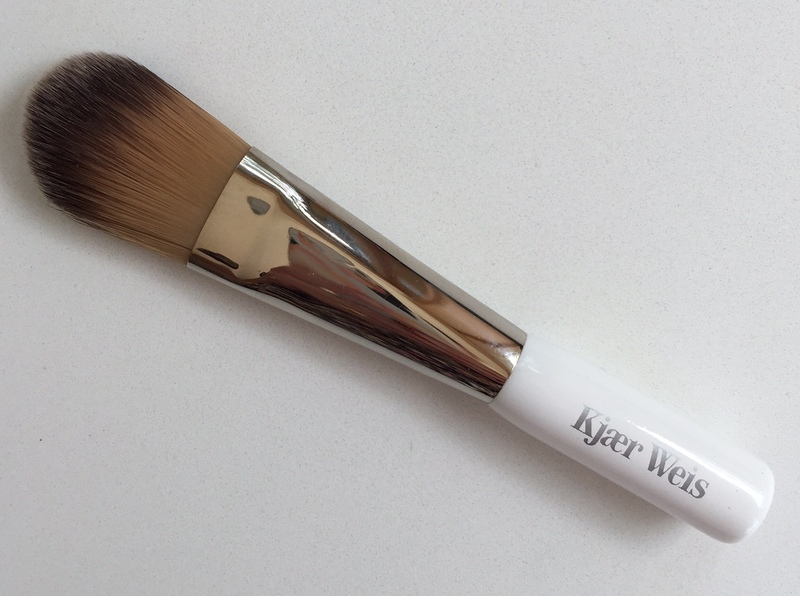 I have a brand new Kjaer Weis Blush Brush that I would love to send one of my readers, along with several KW samples. To enter: Subscribe to my YouTube Channel for an entry (new videos will be coming soon!) Follow me on Instagram for an entry. If you do both, you will get a bonus entry. If you tag a friend on Instagram you will get another bonus entry. So the most entries you can get is four. Giveaway is open internationally, and winner will be announced on Instagram on Sept. 2, 2016. Good Luck! Disclosure: Kahina products were sent to me by the brand for consideration. All opinions are my own and I am not financially compensated for my reviews. All other products were purchased by me. Review does contain affiliate links. First image from Pinterest. All product images are mine. Next Post Favorites From Summer. The Extended Version.